Current saddles one each on my road bikes: Brooks Finesse – Ladies. Being uncomfortable in the botty region is something a lot of cyclists suffer from. I didn't suffer at all from a sore rear end until this year. I have shed another 9 pounds of weight since July, which I think has caused the difficulty, as I have lost my natural 'cushion' 🙂 Plus, this year was the first time I started cycling for longer than 65 miles at a stretch. Towards the end of our Yorkshire ride, something twanged. My right sit bone hasn't been 100% since. It was time to face reality. My current saddles both look beautiful. I have an ebony black one on Enid, and a stunning honey one on Hettie, Hettie's saddle gleams when I polish it. I use tan boot polish with rubbing alcohol added, and the shine is something you can use as a mirror. I love it! The saddle's colour really helps to make Hettie look like a bicycle babe. Brooks saddles add a touch of classic class and helps to make both bicycles look stunningly beautiful when they are showing off, posing against against a wall. But, one can't see ones saddle when one is on tha bike after all, and comfort is becoming a real issue. Often its the perineum region where problems occur. Not for me, na my pain was literally in the bum, in the sit bones themselves. Not caused by rubbing or irritation, but I assume by pressure. The pain was like this... No pain at all until I get towards the end of a ride of about 62-70 miles long, then I suppose due to muscle tiredness, I feel a sort of muscular slippage, over the sit bones, which happened very quickly and sends me upwards in pain out of the saddle smart like. The pain lasts several minutes, my sit bones feel bruised and sore, immediately that this slippage is felt, something like an electric shock sensation runs down my leg. It always occurs over the right sit bone only and into the right leg. Initally I just get on with it....and ride by bicycle very gingerly for the remaining ride, holding my self on the pedals when a bump or lump on the road is cycled over. I had one incident of this while riding on the Lands End to John O Groats ride, but on that ride we didn't have long long days of cycling, and it was easy to rest when on a shorter milage day. Ever since I returned from LEJOG, as soon as I tried to up the distance the pain would return. To the point, it was putting me off cycling that far. I already wear good quality shorts/longs and clothing I don't think was the problem. Irritating, as I want to up my distances for Audax UK. In 2012 I want to up from 100km rides to more frequent 200km rides and this wasnt looking too promising. 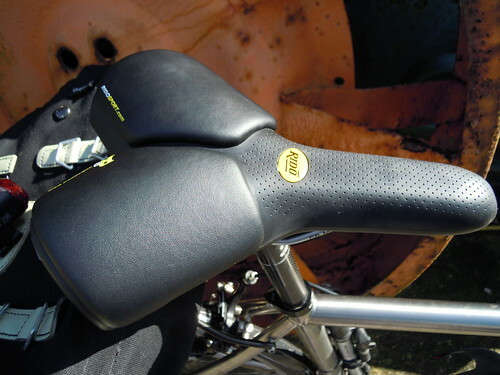 I have ridden with Brooks saddles ever since I got into cycling (from 2007), and its hard to think that now they were no longer suitable, I have not had to break in the Finesse saddles, they were comfortable from the start for my usual cycle rides. Especially, as I LOVE their old fashioned retro style and sadly its important to me... but discomfort as I have discovered, is far MORE important to sort out. But for me, Brooks is no longer possible for the long long rides I intend to get into. Looked for hours and hours on line checking out models of saddles, reviews and read the CTC forum incase some thing would turn up.... And it has. For now I am using the RT2 model. Its not very beautiful... Placed side by side the Finesse wins every single time. But in the comfort stakes.... ie the IMPORTANT stakes the RIDO wins hands down. 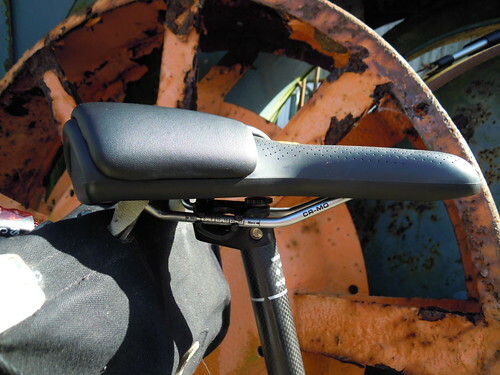 The new RIDO R2 saddle, not even its name is pretty! I have ridden 4 x 100km Audax rides on this saddle now, and not only this, but I can cycle to the shops or work (distances of 12 miles) in jeans, cycle in leggings – non padded, and I can cycle my much longer distances and not even think once about my bum! (but I do help myself by wearing proper cycling clothing on these days). Things I have found improved by using this saddle. NO MORE SIT BONE PAIN. This is worth SO much to me! I am not 100% sure, BUt I do think my acceleration seems to have improved?? ANd, I have noticed that I spend less time rising out of the saddle when a small bump or shallow pothole appears, now I can simply sit and ride over it. 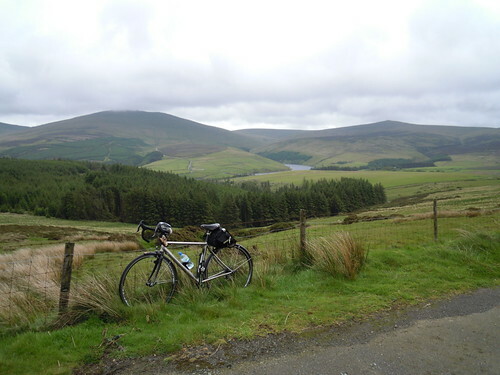 IN fact, my cycle rides have more brain function on enjoying my ride, the views, thinking of the coming hills and no more am I unconsciously rising out of the saddle to prevent a whack when the bike hits a bump. I am so impressed, I tried their new posh saddle. But no, it was FAR too narrow for me, and I have posted it back to replace it with another RIDO R2 for the mountain bike and for Hettie so all my cycles are fitted out with them. What it lacks in style and grace it certainly improves on extreme comfort. To me, this has to count for something. I am so pleased to have found this saddle, and another thing, its not a highly expensive item either, in fact very affordable. 5 x RIDO saddles = 1 X Finesse (or thereabouts). Posted by Mary on October 19th, 2011. The pain sounds awful. Well done in seeking and finding a more suitable replacement. My wife had problems in the same area and a kind stranger she happened to be discussing bicycles with in the street said he had lots of saddles if she'd like to try some. The next day he gave her a big shopping bag full. She tried them all and settled on an old Brooks! All was well until this summer when, for no clear reason, she grew uncomfortable again. So for her birthday she settled on a new, expensive and highly bulky Bontrager Boulevard gel plus. It's so thick I had to lower the seat post about two inches, but she says it's comfy! At the moment. American site but very useful. I bought a Karva saddle on their recommend and it's superb. Found it on the Bay for a fiver. That sounds like serious pain 🙁 Ouch! Glad you've managed to find a solution. Saddle comfort and fit is such a personal thing there seems to be almost no accounting for it. I bought a new honey finesse (altho honey doesn't really go with blue!) at a good price from Ebay. It was beautiful, I polished the rivets till I could see my face in them then put it on my bike. It was agony! I soon gave up and returned it to its box. It seemed too short and too wide. But I still hankered after a Brooks. I'd almost decided to get a B17 special (I love those copper rivets) when I fell for a standard B17 man's in Blue. Its been great so far. Comfortable from the outset, 102 miles a couple of weeks ago with no problems and as I've only done about 1500 miles on it its barely broken in yet. What a preference for a man's saddle rather than a woman's says about my backside I really don't know!! I'm pleased you fixed it Mary. Never mind Brooks... form follows function. Anyway the Rido R2 looks okay to me. Picking up on Hilary's experience with the Brooks Finesse and improved comfort with a B17, the Finesse is more or less the same width as a B17 Standard but 1.5 inches shorter. That is quite a lot shorter. Why is a women's saddle shorter? I don't know, given the principle that the contact point is supposed to be sit-bones. The most comfy of my three Brooks saddles is the one I rode on a few times wet. It has softened and dipped and is better than the hardest of the three over a distance – not as sit-bone-intensive. I'd guess a Finesse will not soften or dip as much being shorter (but it might last longer). Mary wrote: Towards the end of our Yorkshire ride, something twanged. It might be worth finding out exactly what happened, if only for future reference. The pain shooting down your leg sounds like the sciatic nerve, but I leave it to Garry to give a professional diagnosis. It's good to know you have found a solution to the problem, even if it's at the price of your Brooks saddle. Mary has ridden with saddle pain of varioius sorts off and on for years; it's just plain miserable when you know someone is suffering. I'll have to try the boot polish with alcohol trick – Hettie's saddle postively gleams in the photo :). Kern, you should see the saddle now! Its burnished! Very pleased to have found the RIDO though. It doesnt mind the wet either. Funny how you noticed Patrick the shorter nose on the Finesse, because the only thing I have had to get used to is the much longer nose on the RIDO. I can only assume us ladies have longer legs than you chaps when it comes to anatomical differences when compared to saddle frame?? I have had to apply silicon spray to the nose to let it slip better or it can rub my legs. I had forgotten about this, but the silicon spray worked a treat and I no longer notice the longer saddle. I am 5'6" but I have a leg measurement of 31". Just a thought.... I could be way off the mark here! BUt ladies saddles usually do offer a shorter saddle snout, so there has to be a reason for this. Hilary, Im sorry to hear you found the Finesse so uncomfortable, its just the big distances that cause my problem, and Im sure its the hours of pressure that causes it. Saddles as said are very personal. I have heard one can get ones sit bones measured in a special gel pad that you can sit on for this purpose, but no one on our island does this, maybe because us female cyclists are the minority and its not economically viable to offer this kind of service? Who knows. Pain shooting down the leg has to be the sciatic nerve. Now may I suggest a treatment for your leather saddle. I did this to an unbreakable Brooks professional saddle. I think I wrote an article on this website on it, but fundamentally put the saddle on a carpeted floor and walking on it, putting the full weight of your body through one heel, up and down. It'll soften it in a few minutes. Otherwise it's useless to you. I count myself as very fortunate that I've had not had problems in that area. Oh, except on the day when I cycled over 80 miles back from Masham in North Yorkshire to East Yorkshire on a mountain bike. Use a recumbent, never, never any pain in the sit bone. More energy efficient, better, much better, view. Climbing, just train and anyone can climb with a recumbent, with the proper gears. I know this is a bit late, but I have 2 beautiful brooks finesse saddles. They are gorgeous! One is green, one is honey. 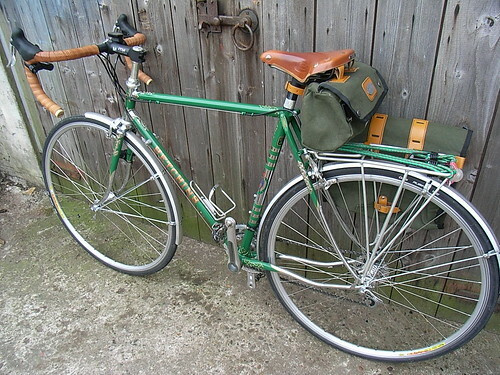 But the Finesse are some of the hardest brooks saddles along with the swallow or swift. The finesse are considered serious racing saddles, and I've never been a racer so have had some trouble with them. I have just lost some weight and always had a large muscled bum, so it was never a problem, but now ouch! You might not have to give up on brooks altogether, but could try a b17 or other softer and meant for touring saddles. They also have aged one which are the colour of biscuits. I have a women's brooks flyer that is very wide and comfortable. need cushion for sitting anywhere. I can't sit in a car or my own home. I am desperate to find a seat cushion made for sit bone pain.